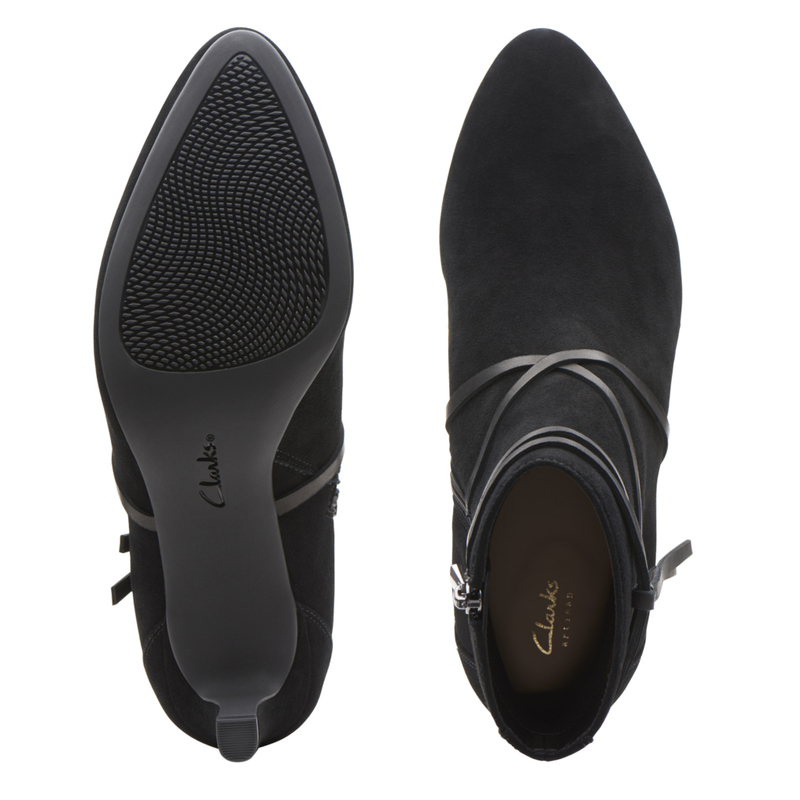 Calla Aster – Women’s ankle boots in black suede. Encapsulating femininity and elegance, these smart black suede ankle boots for women features a slightly pointed toe shape and contrasting leather strap detailing for added interest. The side zip allows for easy foot entry, while the 6.5cm stiletto heel teamed with a leather sock offers wearable height. Ideal for day to night wear.